I am now a Boxtroll! 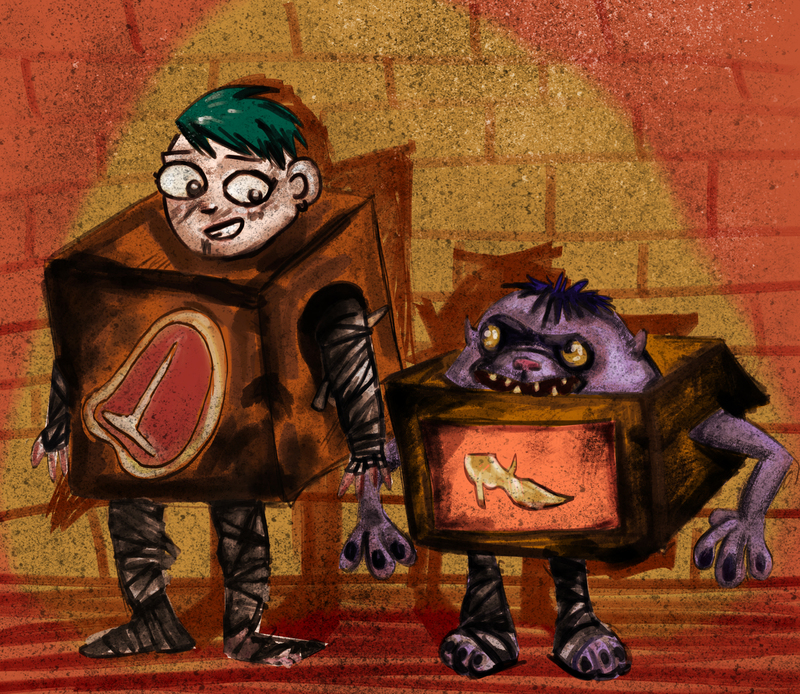 Yup, I loved Boxtrolls so much I decided I wanted to also be one 🙂 I chose the steak box because I loooooove steak and because i’m a meat head gym nut 🙂 I drew my favorite troll Shoe as well. I did this completely in Photoshop and practiced some new blending techniques! You can read my Boxtrolls review here! Oh while you’re here my comic has been updated today, new page is out! (updates every Thursday). i’ve been waiting for this movie, they haven’t shwn it here in the Philippines. I have been stalking their site which is really interactive. LAIKA did really great, turning this book into a movie. I like the colors you used for your artwork,they do look like the palette from boxtrolls. Thank you! It really is worth the wait, we only have it as previews here so it’s not been properly released yet, but I’ll probably watch it again when it’s out properly 🙂 LAIKA are amazing! These are so funny! Great stuff!